601 Congress - American Hydrotech, Inc. The 14-story Manulife Building houses the U.S. operations of Canada's largest life insurance company. 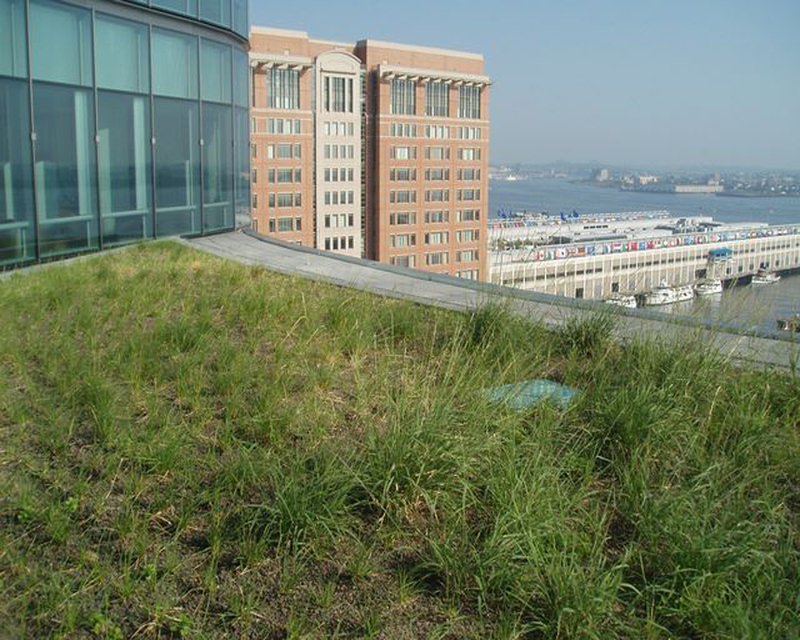 Designed by Skidmore, Owings & Merrill, LLP (SOM) and completed in 2004, the 470,000 square foot building has added a contemporary profile to South Boston's emerging Seaport District and visibly promotes excellence in sustainable design. The building is stepped at the 12th floor, leaving an open roof area with direct access from adjacent offices and visibility from the floors above. On that 12th floor space, SOM and landscape architect Sasaki Boston have created a beautiful 11,000 square foot garden roof that not only provides a valuable amenity for Manulife employees, it also helps to reduce heating and cooling costs; provides acoustic insulation; greatly extends the roof's life expectancy; reduces the urban "heat island effect;" and provides an effective filtering and retention system for stormwater. 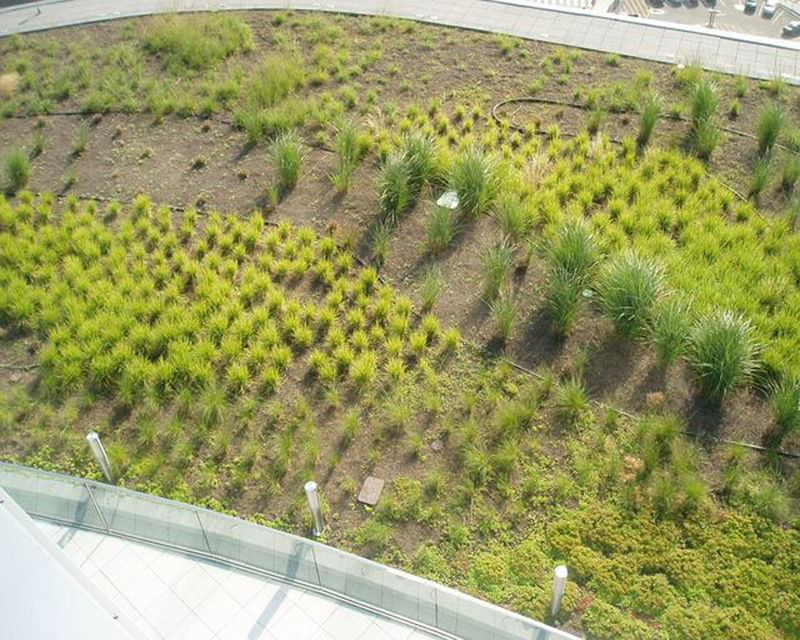 Using drought tolerant ornamental grasses and perennials of varying heights planted in the roof garden's 6" - 14" deep soil media, Sasaki has created a landscape pattern of colors and textures designed to give the appearance of "wind-blown drifts set directly against a cloud-scattered sky." 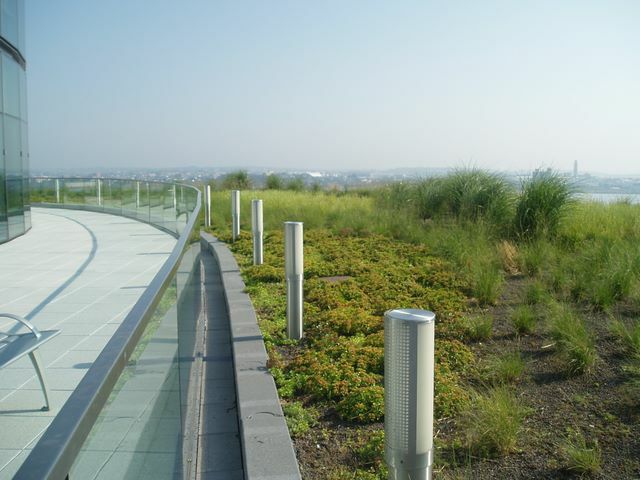 SOM specified Hydrotech's Garden Roof® Assembly, consisting of MM6125®-EV fabric-reinforced, hot fluid applied, rubberized asphalt waterproof membrane integrated with LiteTop®engineered soil and precast concrete pavers. 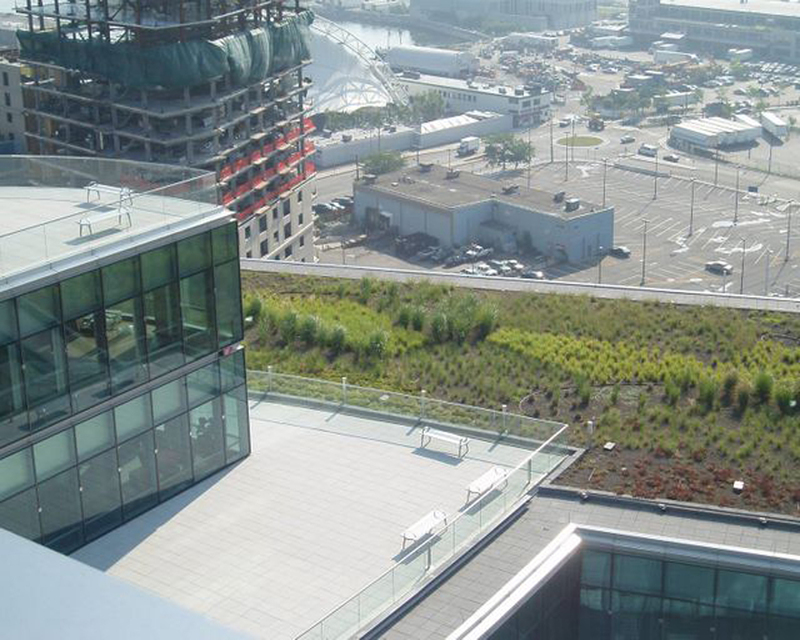 Hydrotech's unique ability to provide a waterproofing and hardscape/softscape solution, all with a single source warranty, allowed project designers to successfully transform the Manulife Building roof into a self-sustaining landscaped ecosystem that requires minimal maintenance.